Are the tables in your facility wobbly and uneven? Are your table tops looking ragged and worn? Or perhaps you are looking to renovate your entire dining area? You may not have to buy all new furniture if you don't mind investing a little elbow grease to upgrade your space. At Hotel Restaurant Supply we can provide you with all the replacement parts you need to get your furniture looking and functioning like new. 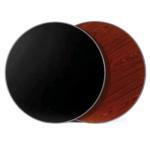 Here you will find our collection of wood laminate tabletops. These gorgeous laminate replacement tops are available in a wide range of styles and finishes. 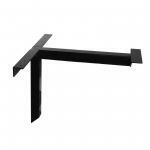 Here you will find our selection of cantilever table bases. 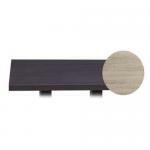 These bases are perfect for stationary wall mounted tables. Many are offered with additional supports. 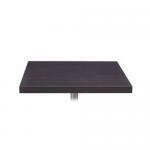 Here you will find our collection of padded table tops. 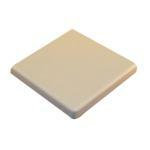 These lovely replacement tops are available in simple round, square and rectangular vinyl designs. Here you will find our selection of adjustable flange feet. 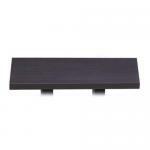 These furniture accessories allow table and chairs to be adjusted and balanced to prevent rocking. Here you will find our collection of stainless partition bases. These base shoes are used to stabilize and protect drapery or bench partitions in dining areas.